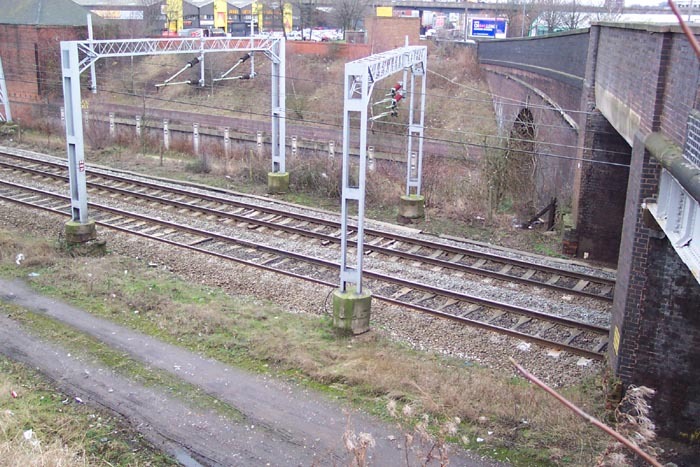 The station opened in 1852 on the then-LNWR's (although planned in conjunction with the Shrewsbury & Birmingham Railway) Stour Valley Line between New Street and Wolverhampton High Level and closing pre-Beeching in 1960. 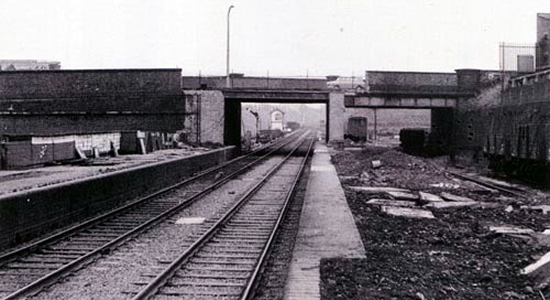 Above we see the Spon Lane road bridge over the railway in the mid-1960s (photo: unknown) with the station in a state of semi-demolition. 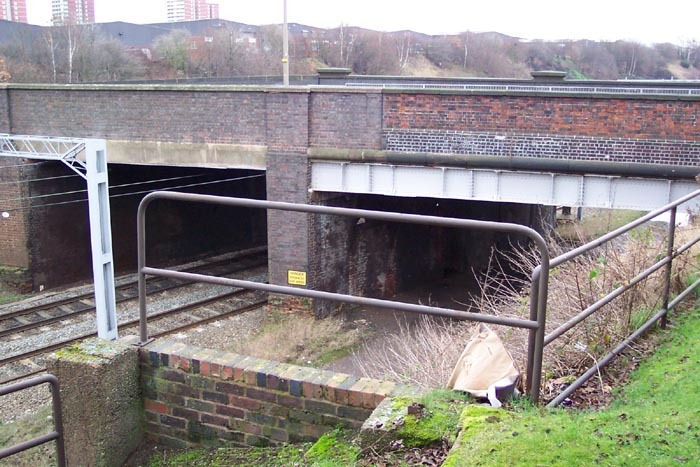 The entrance building was sited on the side of the bridge at which the photographer is pointing and is evidenced by the gap in the wall through which the car can be seen on Spon Lane itself. Today, as can be seen below, there is not trace of the station existing today. 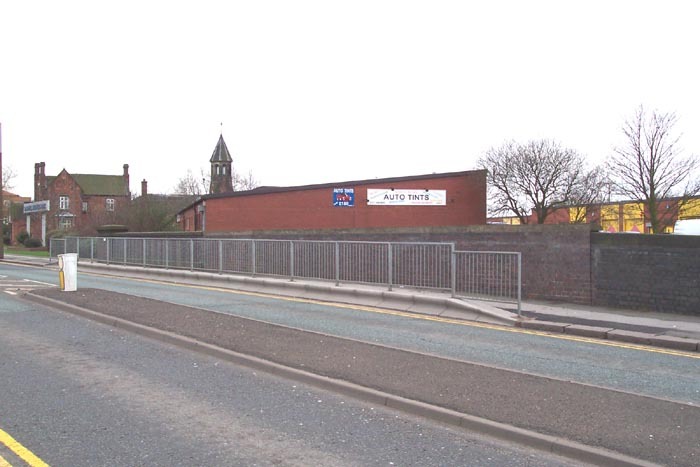 Above-left we are standing on Spon Lane bridge looking at the spot where the entrance building once stood - the area of walling missing in the demolition photograph above is to the right. 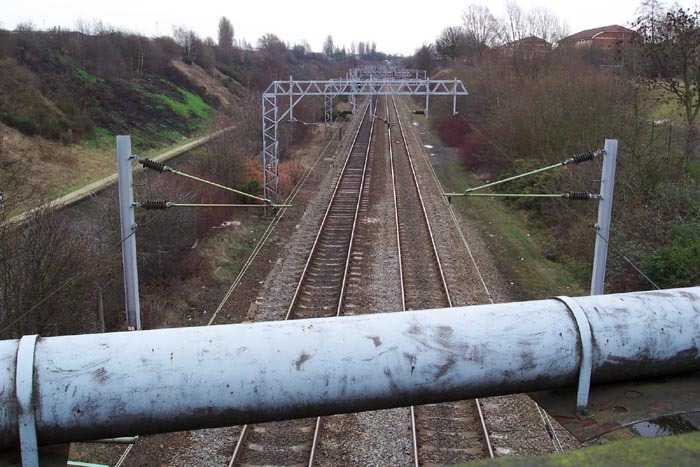 Above-right we are standing on a pathway which runs alongside the indistrial unit that can be discerned at the end of the bridge in the preceding photograph, looking down at the site of the station platforms - the area in the foreground also once carried tracks: this perspective is clearly comparable with the one at the top of the page. The brick area in the immediate foreground may have been part of some platform access system but,	unfortunately, I can neither confirm nor deny this on the evidence I have available. Above-left we have moved a few yards towards Spon Lane bridge from the point at which the previous shot was taken and are again looking down at the site of the platforms. 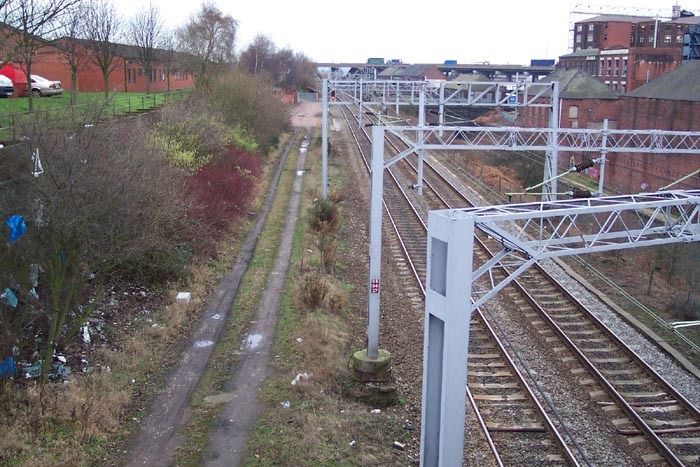 Above-right we are back on Spon Lane bridge looking along the tracks in the direction of Wolverhampton with the station site in the foreground: the removed lines can clearly be seen in this shot on the left-hand side and were removed during the electrification process on the line in the mid-1960s. Above-left we are on the other side of Spon Lane bridge looking towards Birmingham. The area to the right once held several goods sidings but now is grassy parkland. interestingly if the photograph at the top of the page is consulted, there used to be a signal box (presumably controlling the goods sigings and relief line access) to the left of the track at the spot now ocupied by the nearest overhead cabling gantry. Above-right as the only railway-type relic still at the site as far as I could discern. 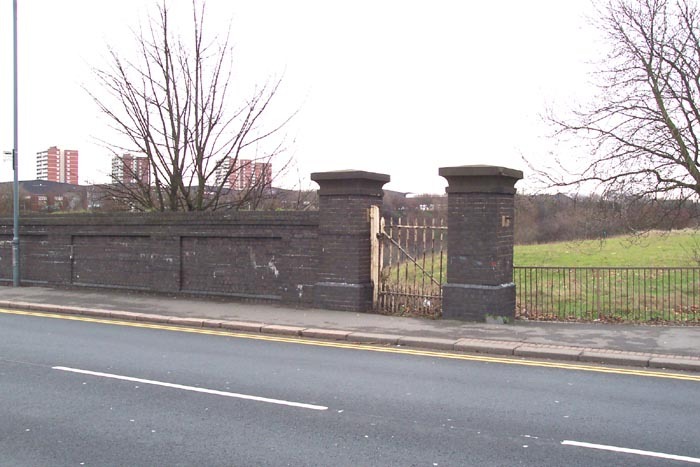 This rusting iron gateway led into the goods yard area of the site and, for some reason, was not deemed worthy of removal when the site was cleared.